After months of wondering if their reign of terror over the NFL was over, the New England Patriots are still standing, and they’ll look to add a 6th Lombardi Trophy this Sunday when they take on the Los Angeles Rams in Super Bowl LIII in Atlanta. While some might find watching the Patriots in the Super Bowl again boring, this game still has many storylines that will make this game very interesting. Let’s take a look at three things to watch out for ahead of Sunday’s game. The matchup of quarterbacks and head coaches in this game is extremely intriguing. 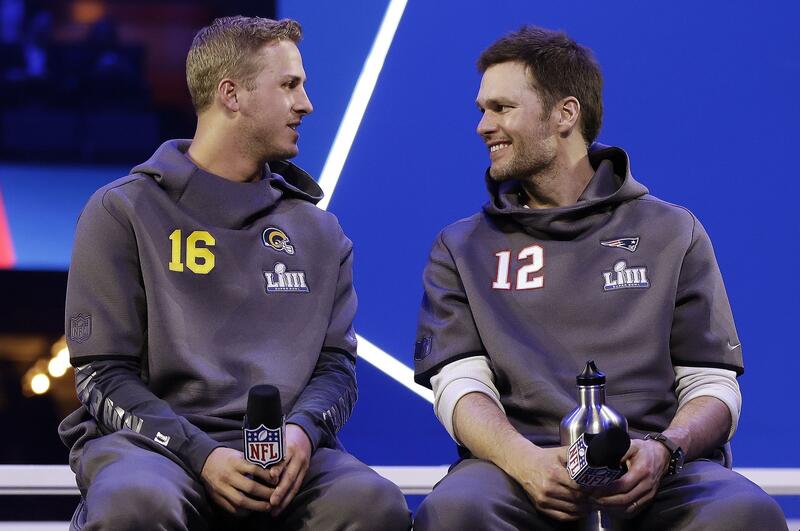 Jared Goff and Sean McVay are potentially the next great QB-coach duo, while Tom Brady and Bill Belichick are already the greatest QB-coach tag team in NFL history. Beating Brady and winning the Super Bowl could vault Goff into a whole new level of stardom. Additionally, McVay is already the NFL’s biggest coaching star, and he would raise his profile even more with a win over the mighty Bill Belichick. Meanwhile, if the Patriots win, it would be another trophy for the tandem, which would boost their case to be the NFL’s all-time greatest QB-head coach duo, which is already extremely strong. While some might find the Patriots success irritating, it might be a long time before we see this kind of greatness, and with a win, New England would tie the Pittsburgh Steelers for most Super Bowls (6). This type of success is unprecedented, and the Patriots’ greatness should be celebrated, as it is truly remarkable. While the Patriots are obviously going to be remembered in history forever, adding another Super Bowl would put the franchise amongst the most accomplished in NFL history. While people might be annoyed by the Pats, it is unquestioned that we might never see this kind of dominance again. The Rams assembled an extremely talented team this past offseason, and won their division easily. If they win the Super Bowl, could they become the NFL’s next dynasty? They’ve got a young QB-RB tandem in Jared Goff and Todd Gurley, a superstar head coach in Sean McVay, and perhaps the best player in the NFL in Aaron Donald. LA always has young and very productive players at skill positions like Brandin Cooks, Cooper Kupp (who’s out Sunday), Robert Woods, and Marcus Peters. While this is a long way away, the Rams could start a great run of success with a win Sunday. There’s no better way to start a dynasty than by beating the 5-time Super Bowl champions, and perhaps the greatest empire in the NFL in the New England Patriots.